Cybersecurity experts are often asked for advice on why cybersecurity is needed. Modern security means not only ensuring that you are physically safe and protecting your assets, but also includes the safety of your digital security and assets. Think about where you are the most vulnerable, and let that sink in for a moment. What do cybersecurity professionals do? We spend a lot of money trying to fix things after they happen, but we should stop the attacks before they happen. When did your employees last change the password to any of their accounts? Have your employees replied with sensitive information to strange emails? Do your employees overshare moments of their life on social media by posting photographs of their houses, pets or children? All the security systems and protocols that you have paid for, installed and implemented at great cost, mean nothing if reckless behaviour is still enabling cyberattacks. For this reason, we have outlined some useful advice from cybersecurity professionals below on how to increase the security of your organisation. 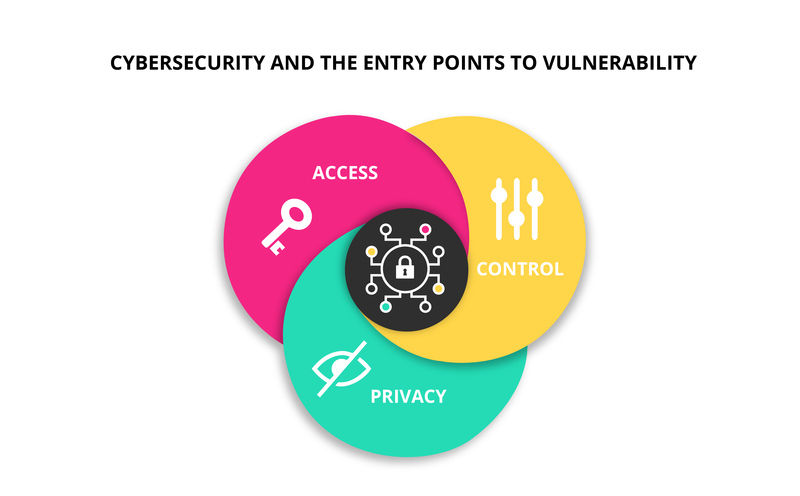 Access vs control vs privacy: these three variables provide vulnerable entry points. Increasing risk in the digital world has seen higher cybercrime statistics since we developed technological marvels like the internet, WiFi and cloud-based systems. Cyber risk assessments also raise awareness within the company of digital vulnerabilities by serving as an executive summary of sorts. This assists C-suite executives in highlighting specific problems without going into unnecessary details, and in determining what areas of the business need more growth and investment. Linking to the points above, if you want cybersecurity insurance, you will first need to have performed a cyber risk assessment.7 It’s becoming common practice to take out insurance against the harmful risks of cybercrime. Coverage for this is industry-specific and higher risk industries like retail and finance will be more expensive to insure. Human error is the greatest threat to cybersecurity, internally and externally, for your organisation.9 Cyrus Walker, CEO of Chicago-based Data Defenders says research shows approximately 80% of security-related incidents occur as a result of employee behaviour.10 The major risk factor in phishing and malware attacks is simply down to human nature, and our ability to be tricked by others. The trick to ensuring that your cybersecurity is secure, is by effecting behavioural changes to the users of your system. Most organisations don’t properly train their staff on cybersecurity counter-measures. This training should be focused on everyone, up to CEO and including senior management level.11 These people are the most likely people to be targeted due to their high-level positions within the organisation. What was your or your mother’s maiden name? What was the street that you used to live on as a child? Training and awareness need to be reinforced consistently, as people allow criminals access points to sensitive data, not the internet. This training needs to demonstrate smart behaviours for how to interact with the digital world, to ensure you avoid making yourself the target of a cyberattack. If your board members aren’t making cybercrime a priority, then there is a disconnect between their understanding of the technological landscape, and the potentially harmful and often long-term effects of cybercrime.17 There should be board processes in place to evaluate, strategise, and handle cybercrime. Be more aware of your connected devices – every device is a potential backdoor that a hacker can use to infiltrate your organisation. These include: USBs, CCTV cameras, routers and printers. Most of these devices are made to connect to your security network, and have security features. The cost of overlooking cybersecurity for your IoT devices can run into millions, and simply using these features may mitigate the severity of a cyberattack quite drastically. Criminals can use this as an entry point into your devices and steal your personal data.26 Most publicly accessible WiFi spots require you to login to use the free WiFi. Malware such as keyloggers or spyware can then be downloaded onto your mobile or the electronic device you’re using. From this, hackers can gain access to your private information. On top of being generally wary of free WiFi, it’s also a good idea to ensure you have anti-virus software installed on your devices. Cybersecurity professionals play a vital role in identifying threats and protecting online data. As the world becomes increasingly more reliant on digital spaces, cybersecurity professionals need to be more proactive in preventing cybercrime. Become your own firewall to aid in the fight against cybercrime. Laziness and ignorance are weaknesses that cybercriminals rely on to exploit digital vulnerabilities. The future of cybersecurity rests upon humans being savvy enough to control access to their private information. 1 Armstrong, S. (Sept, 2017). ‘Stay safe online: Experts reveal 10 ways to protect yourself and your business from hackers’. Retrieved from Wired. 2 (2017). ‘Cost of cyber crime study: Insights on the security investments that make a difference’. Retrieved from Accenture. 3 (2018). ‘Cybersecurity. Get the full picture’. Retrieved from Cisco Systems. 4 Adnan, A., Nicholson, M., Stevenson, C., and Douglas, A. (2016). ‘From security monitoring to cyber risk monitoring’. Retrieved from Deloitte. 5 Nohe, P. (Aug, 2018). ‘How to perform a cyber risk assessment’. Retrieved from Hashed Out. 6 Nohe, P. (Aug, 2018). ‘How to perform a cyber risk assessment’. Retrieved from Hashed Out. 7 Viuker, S. (Jan, 2015). ‘Cybercrime and hacking are even bigger worries for small business owners’. Retrieved from The Guardian. 8 Nohe, P. (Aug, 2018). ‘How to perform a cyber risk assessment’. Retrieved from Hashed Out. 9 Blau, A. (Dec, 2017). ‘Better cybersecurity starts with fixing your employees’ bad habits’. Retrieved from Harvard Business Review. 10 Viuker, S. (Jan, 2015). ‘Cybercrime and hacking are even bigger worries for small business owners’. Retrieved from The Guardian. 12 Newman, L. (Sep, 2016). ‘Time to kill security questions – or answer them with lies’. Retrieved fromWired. 13 Hlavaty, C. (Mar, 2018). ‘That Facebook quiz is probably stealing your personal information’. Retrieved from Houston Chronicle. 15 Blau, A. (Dec, 2017). ‘Better cybersecurity starts with fixing your employees’ bad habits’. Retrieved from Harvard Business Review. 16 May, R. (Nov, 2017). ‘Your Human Firewall – The answer to the cybersecurity problem.’ Retrieved from TEDx. 17 Cisco, the University of Technology Sydney and the Australian Mathematical Sciences Institute. (Feb, 2018). ‘Six habits of cyber resilient boards’. Retrieved from ISSUU. 18 May, R. (Nov, 2017). 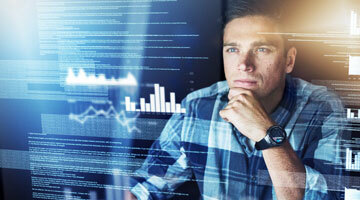 ‘Your Human Firewall – The answer to the cybersecurity problem’. Retrieved from TEDx. 20 (Nov, 2016). ‘10 Workplace cyber security tips’. Retrieved from FBS. 21 Lohrmann, D. (May, 2016). ‘Beyond spear phishing: how to address whaling and more’. Retrieved from Government Technology. 22 Lohrmann, D. (May, 2016). ‘Beyond spear phishing: how to address whaling and more’. Retrieved from Government Technology. 23 (Feb, 2017). ‘The Internet of Things has a dark side. Here’s how to protect yourself’. Retrieved from Wired. 24 (Feb, 2017). ‘The Internet of Things has a dark side. Here’s how to protect yourself’. Retrieved from Wired. 25 Phelps, T. (Sep, 2017). ‘Why you should always lock your computer’. Retrieved from Net Standard. 26 Dockrill, P. (Feb, 2016). ‘Here’s why you should be careful about using public Wi-Fi hotspots’. Retrieved from Science Alert.